It's Thursday evening and I just came back from a fundraising event for the Alzheimer's Association with a great idea for an organization to feature this Feel Good Friday! Let's take a trip to their website, shall we? The Alzheimer's Association "is the leading voluntary health organization in Alzheimer's care, support and research." Their vision is very straightforward, "a world without Alzheimer's disease". Some statistics I learned tonight are that "an estimated 5.4 million people in the U.S. have Alzheimer's disease" and it's the 6th leading cause of death in this country. It's affected people in my family and the families of my friends and odds are it's affected someone you know too. This 1:30 min video gives a very good summary of the impact and cost of Alzheimer's. Support: for caregivers in the form of online resources and referrals and face-to-face support groups. 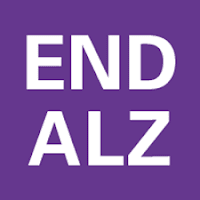 There is education for the general public such as this list of 10 early signs and symptoms of Alzheimer's and a 24/7 toll-free hotline to provide information, support and assistance to everyone in need. 1.800.272.3900. Research: as explained on the website, "as the largest nonprofit funder of Alzheimer's research, the Association is committed to accelerating the global progress of new treatments, preventions and ultimately, a cure." Advocacy: developing policy resources to educate decision makers and engaging elected officials at all levels of government. If you're inspired to learn more or get involved, you can volunteer at a chapter near you, join a fundraising walk or straight up donate cash. You can also show your support and stay connected by shopping, liking the Alzheimer's Association Facebook page and following them on Twitter @alzassociation. As they say, they are "the brains behind saving yours" and saving your brain sounds like a fantastic idea. Feel Good Friday - Street Poets Inc.